Tint Magic Window Tinting is an Authorized Dealer of Llumar Window Film made by Eastman Chemical Company. Eastman is a global specialty chemical company that produces a broad range of advanced materials, additives and functional products, specialty chemicals, and fibers that are found in products people use every day. As a world leader in the diverse markets it serves, Eastman is focused on delivering innovative and technology-based solutions while maintaining its commitment to safety and sustainability. LLumar window film is manufactured by Eastman Chemical Company, a global specialty chemicals company founded by George Eastman of Eastman Kodak in 1920. Eastman produces a broad range of advanced materials and specialty chemicals that are found in thousands of household and industrial products that people use every day. Eastman has one of the largest and most integrated window and performance-coated film manufacturing sites in the world, serving customers in nearly 100 countries around the world. The entrepreneurial initiative of Julius Hermes in 1956 was the historical cornerstone of the LLumar brand. Known as the father of dyed PET (polyethylene terephthalate) — the polyester now used in most window films — he was the right person, with the right product at the right time that moved the industry forward into the thriving business it is today. The LLumar brand was established in the United States in1977 and expanded into the global marketplace in 2001. Our product portfolio includes a complete line of automotive window tint; commercial and residential architectural window films, safety/security, anti-graffiti, and decorative films. Every place glass is used represents an opportunity for enhancement with LLumar window films. Whether applied to automotive or architectural glass, high performance films enhance energy efficiency, comfort, aesthetics, safety, and security. 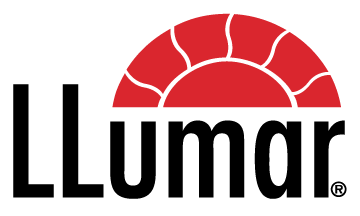 The LLumar commitment to quality is what drives us every single day. It’s also something you can count on and actually see in every product we make.